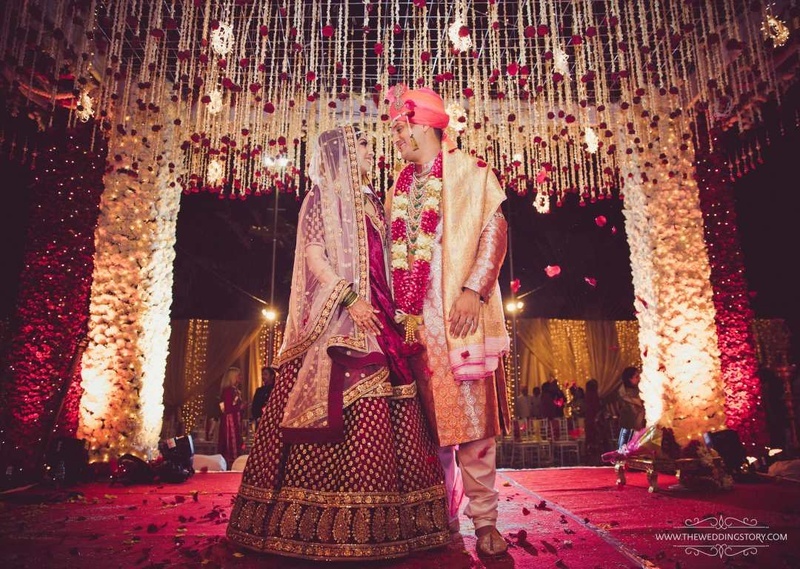 No matter what your wedding style is Delhi is the perfect place that makes the best wedding and reception venues. Ideal for destination wedding, residential weddings, grand and lavish weddings, Delhi this is the most sought-after place and a go-to spot for millennials! Looking for a wedding venue with contemporary décor and smooth services? These venues in Sahibabad have spectacular backdrops that will add endless charm to your wedding snaps. For theme weddings to a simple decor, you can get the decorators make your vision come alive. Your wedding will surely be the most talked about when its set in these venues in Sahibabad, Delhi. Banana Tree Hotel & Banquets, Sahibabad, Delhi offers a great ambiance for large social gatherings. It offers four awesome party areas that can be used for multiple events and functions. Hotel Banana Tree Sahibabad has Maharaja and Chandermukhi banquet halls that can be combined into a single space to accommodate a number of guests. It has a well-furnished décor that will add a royal feel to your wedding. Additionally, it has professional and friendly staff with impeccable facilities. At Banana Tree Hotel Sahibabad, you will have every requirement of your marriage, reception or engagement met. The venue has luxurious rooms for the guests which gives them a comfortable stay and serves delicious pure vegetarian cuisines to the guests. Banana Tree Banquet serves alcohol to their guests and allows you to get it from outside to entice your guests. The multiple party areas make it easy to have different functions at the same venue. Country Inn & Suites By Carlson Sahibabad, Delhi makes a gorgeous space to host your wedding. It has multiple party areas from which you can select the desired space for your function. The venue offers exceptional catering services and adorns the venue at its best for your special dayThe decor team takes care of the decoration for your big day. Country Inn Sahibabad Banquets serves alcohol to entice your guests who come along to attend your function. It offers ample car parking space to their guests for their convenience. One of the most sough-after banquet halls in Shahibabad, Country Inn has luxurious rooms for the guests which gives them a comfortable stay. It has party areas which are ideal for pre-wedding functions, wedding and reception ceremony. Additionally, Country Inn & Suites By Carlson, Sahibabad, Delhi offers a complimentary changing room for the convenience of the bride and the groom on their special day. Golden Castle, Sahibabad, Delhi is situated in the Industrial Area and is an easily accessible venue. It has an elegantly furnished banquet hall, ideal for dinner or small parties to celebrate birthdays and anniversaries. The in-house decor team and catering team adds to the hassle-free planning of your functions. Golden Castle, Sahibabad, Delhi has amenities and services to vouch for. Experience the best of hospitality services at Golden Castle Banquet, Sahibabad and ensure that your guests have a gala time at your party. Ideal for fun times at cocktail parties, the venue allows you to add alcohol to the venue so that your parties are even more happening. Additionally, the venue allows outside alcohol so that you can have your favorite brands at the best deals possible. Hotel Ace Manor, Sahibabad, Delhi boasts a beautiful combination of traditional Indian hospitality and modern accommodation services. It is located near Vaishali Metro Station which makes it convenient for all. The venue serves mouthwatering multi-cuisine delicacies to choose from in both vegetarian and non-vegetarian food. The venue has luxurious rooms for the guests which gives them a comfortable stay. It has multiple party areas which makes it easy to have different functions at the same venue. It has banquet halls and a lush green lawn for hosting all kinds of events. It is in the heart of Industrial Area Site in Sahibabad that makes it convenient for all to attend the functions without a second thought. Host your upcoming events at Hotel Ace Manor, Sahibabad, Delhi to make them a grand success. Wanyt more options? Look for more banquet halls in Shahibabad!